Could home renovations cause our pets to get sick? 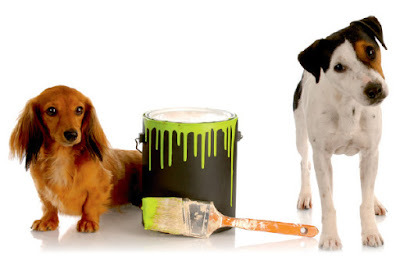 Pet Insurance Australia recently took a look at DIY, the connection with certain illnesses and most importantly the steps we can take as home owners to prevent these issues. Dr Vadim Chelom BVSc, CEO of Pawssum and House Call Veterinarian agrees that more consideration needs to be made when it comes to the health of our pets during these times. "In the financial year 2015 we recorded approximately 227 claims that could have been the direct result of home renovations. This included poisoning cases not specified and exposure to unspecified toxins," said Nadia Crighton from Pet Insurance Australia. "By comparison, in the 2018 financial year, we saw 2,494 such claims. While this increase could, in part, be due to increased uptake in pet insurance over those years, it still shows there is an increasing number of pets at risk due to poisons and toxins being left in reach." So how can pet owners prevent their pets from becoming sick due to dream renovations? Dr Chelom agrees: “The first thing is - never assume that because it has been blocked from human access, it is also out of reach of our pets,” he says. Dr Chelom also reminds pet owners that pets are far more sensitive to sights, sounds and smells than the two-legged variety – aka humans. So if the renovation is stressing you out, chances are your pet is also feeling the impact of a disturbed home environment. Meredith Crowhurst, a Melbourne-based Veterinarian with Pawssum also warned to watch out for "red and sore eyes caused by dust, dogs escaping as workmen come and go whilst cats can develop stress and urinary issues (due to stress) during extensive renovations."